2015 Summer Personal Canning starting June 30th! Personal Canning Tuesday afternoon, June 30th at Facility Kitchens starts at 3pm and runs about 4.5 hours, $50.00 payment at the door. RSVP: janet@facility.kitchens.com. You will can beans or pickles. If you choose pickles to do, your session will be a multi-day process. You bring your ingredients, jars, and knives. Questions? Call, 616.421.4540 or email and we will get back with details. 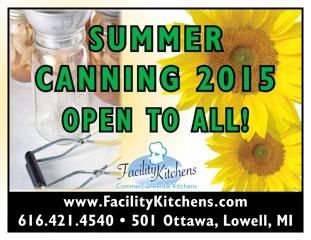 Summer canning at Facility Kitchens starts the end of June! starts the end of June! Check back here for canning session announcements of time and dates. 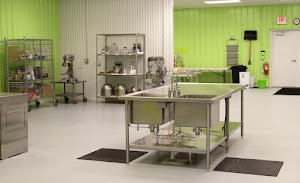 You bring your: ingredients, jars and lids and rings and your knives and special tools; we provide the facility. Sessions will run four and a half hours and cost $50.00. Canning sessions will be scheduled as local produce comes on.